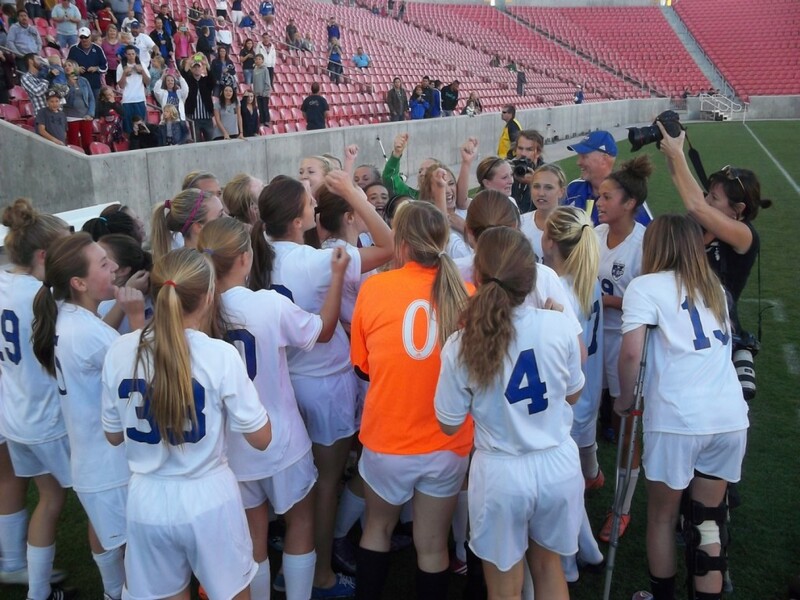 SANDY, Utah — A season of sacrifice, hard work and 5 a.m. team practices led to the ultimate celebration Saturday evening for the Dixie Flyers, who captured the 3A State Championship with a 1-0 win over Juan Diego at Rio Tinto Stadium. Following a stalemate first half that included great defense and saves at both ends, DHS finally captured a 1-0 lead in the 54th minute. 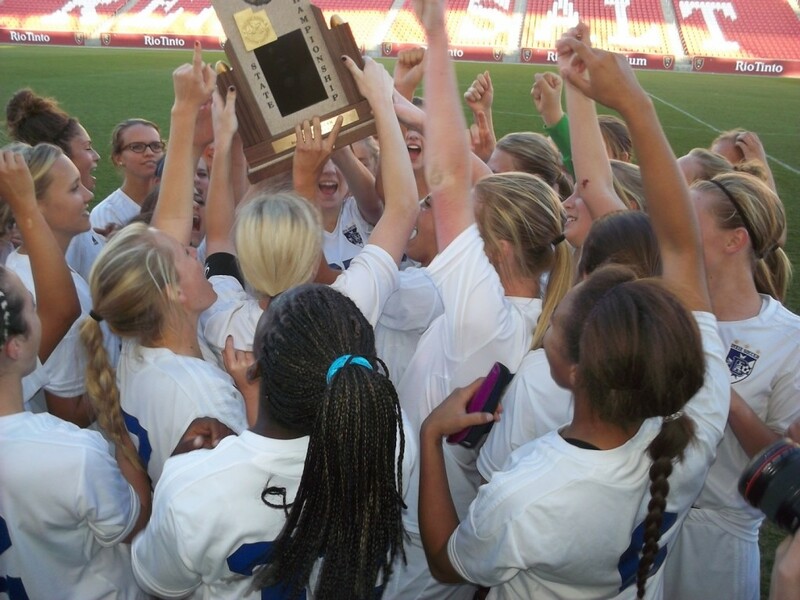 The remaining 26 minutes were intense as the Lady Flyers held off a furious counter-attack by the Soaring Eagle to walk off the field state champions. 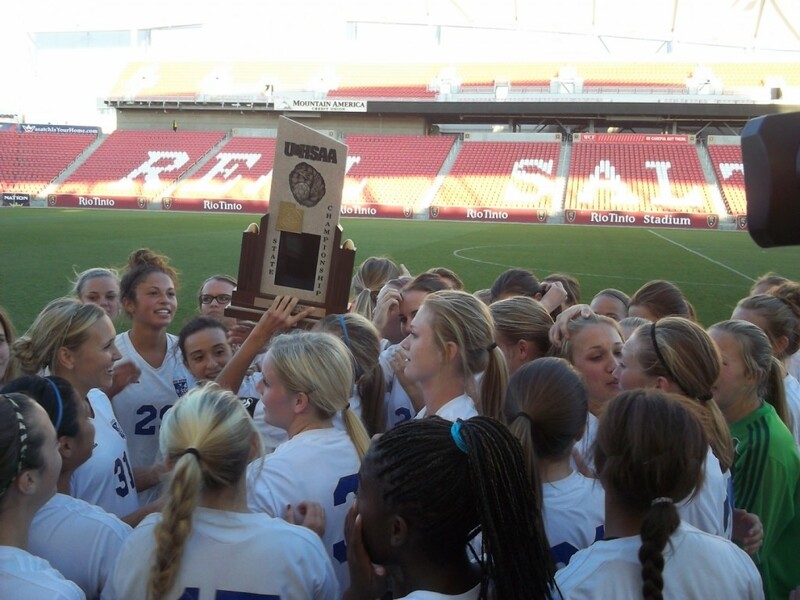 Dixie received the 2013 3A State Championship trophy at the conclusion of Saturday’s match. The game-winner was an exhibition in teamwork by the Flyers. Midfielder Alexa Estridge saw and took advantage of a hole in the defense and launched a great crossing ball from the right side that set up Durrant with a timely pass. 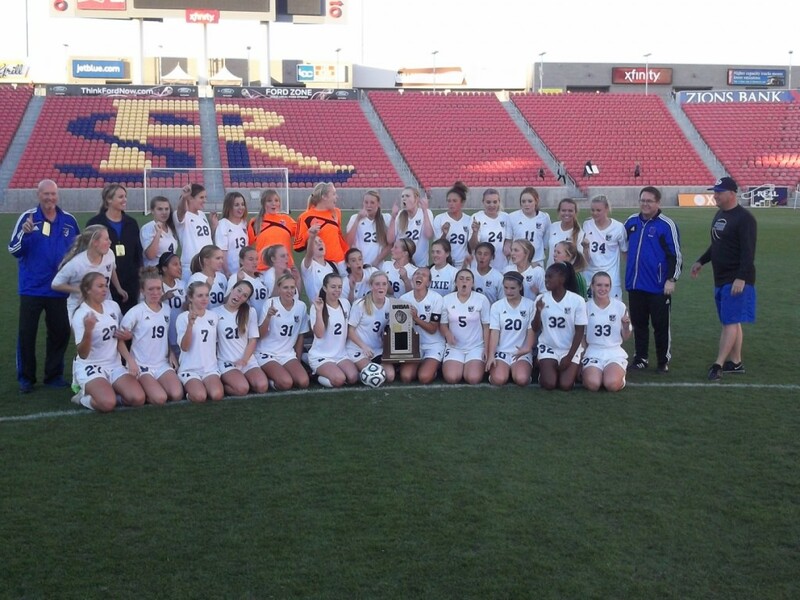 Estridge’s assist hit Durrant in-stride and she shot from just inside the goal box on the left side. 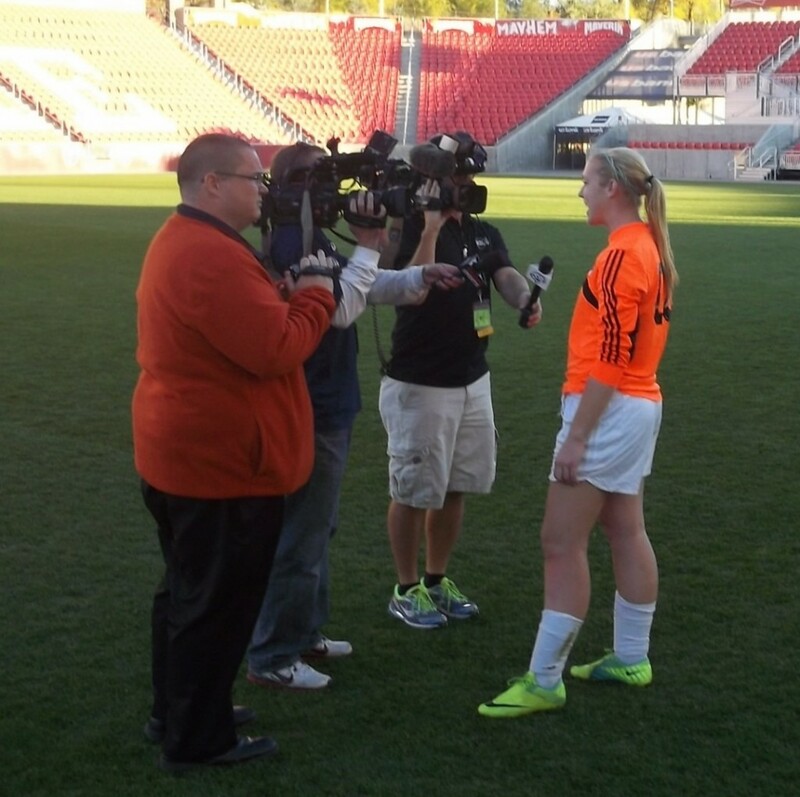 Her left-footed strike crossed the goalkeeper over and the ball hit home in the top right corner of the goal. The Flyers defense came up big as senior goalkeeper Elizabeth Empey made huge saves throughout Saturday’s match, including two diving, game-preserving saves in the 74th and 75th minutes. Empey and the Flyer defenders recorded their 10th shutout of the year. 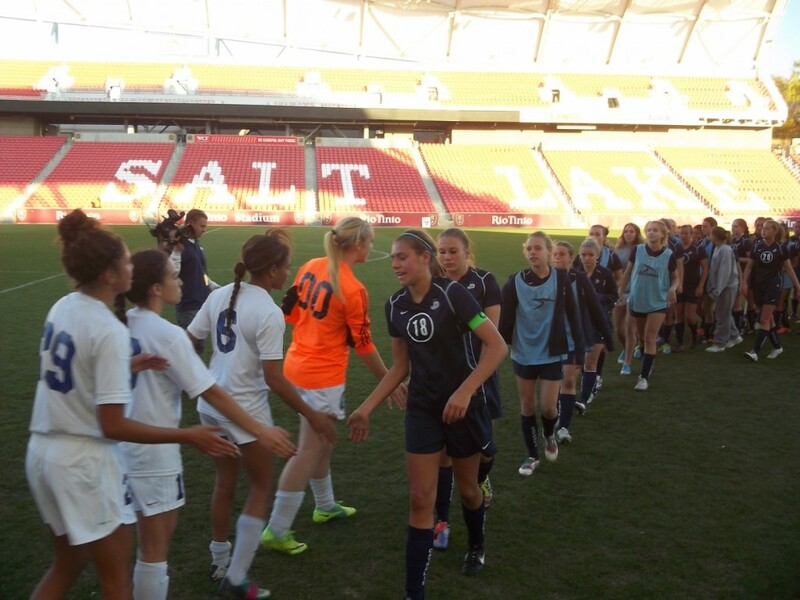 With only six minutes remaining in the match, a trio of Juan Diego offensive players broke into the open on a 3-on-1 breakaway opportunity to tie up the match. 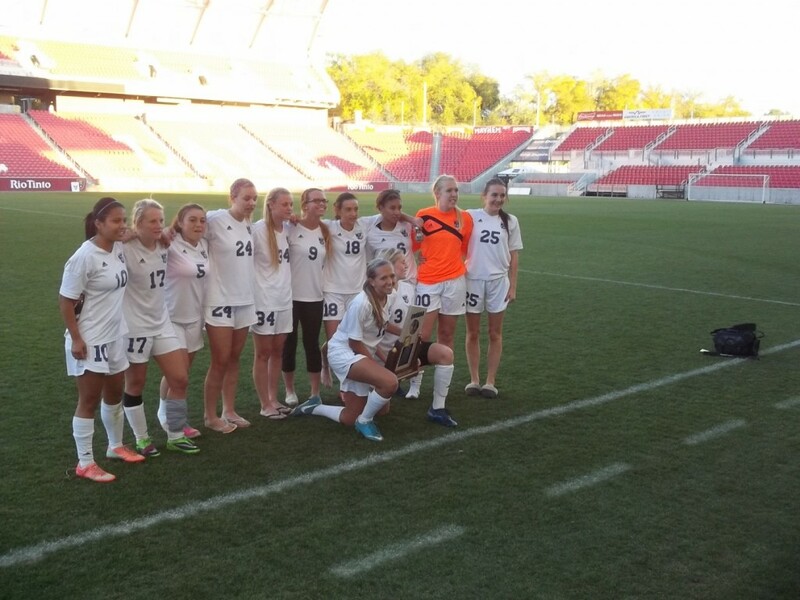 The Soaring Eagle speedsters found themselves in the clear after a miscommunication by the Dixie defense. But JD was unable to capitalize as Empey made a fantastic diving effort at the ball as she rushed the defender to prevent the goal. Less than a minute later, another scare came as Empey darted through traffic, colliding with Juan Diego players before diving and knocking the ball out of the vicinity to help clear the ball again. Finally, with less than four minutes in the match, the Flyers survived a last flurry of goal attempts as twice, Juan Diego shots bounced off the cross bar. 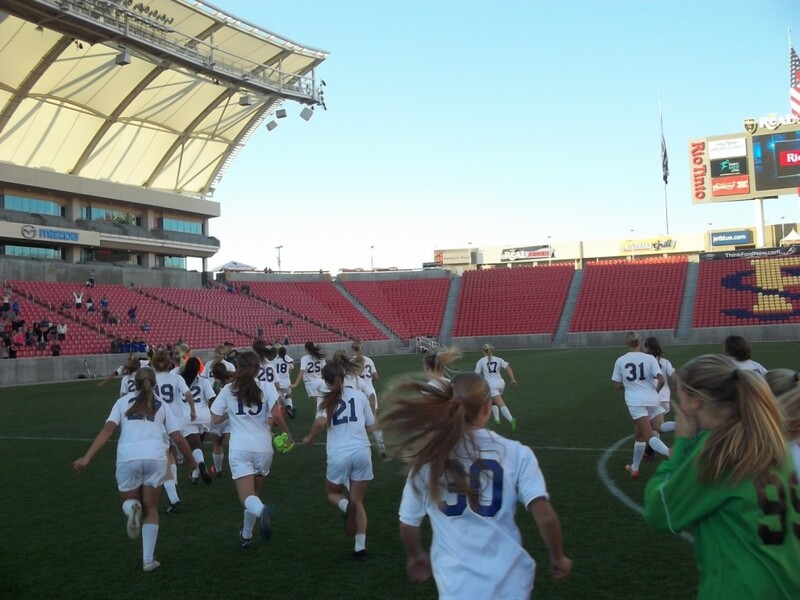 After the chaotic few minutes of close calls and near goals, Dixie took control of the last four minutes of the game and then the celebration began. Myers added that after all the hard work the Flyers put in this year, the joy of winning the championship and sharing the moment with his players more than makes up for sacrifices he and players made throughout the year. 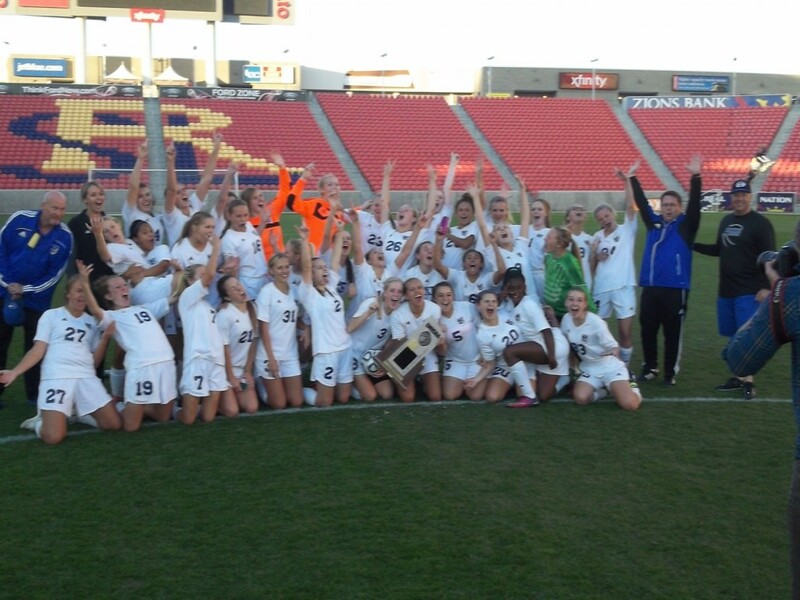 The Dixie Flyers finished the season 16-2-2 and are 3A state soccer champions.